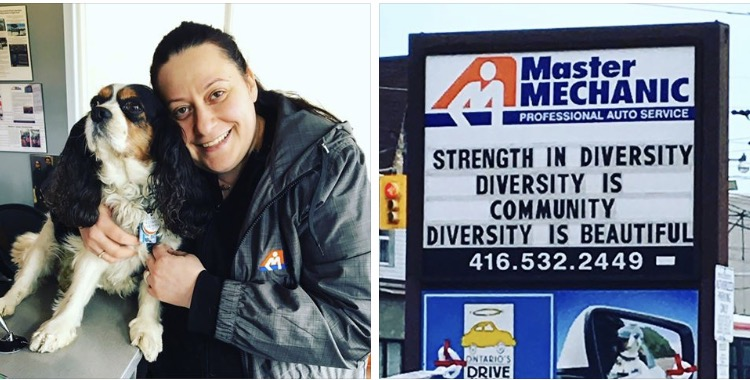 Josie Candito, owner and operator of Master Mechanic High Park, was recently the recipient of the prestigious Change Makers Award in honour of Canada’s 150th Anniversary. The Canada 150 Change Makers Award was presented to a handful of Parkdale-High Park residents in recognition of their invaluable contributions, including cultural and other significant public and private endeavours, to community and country. 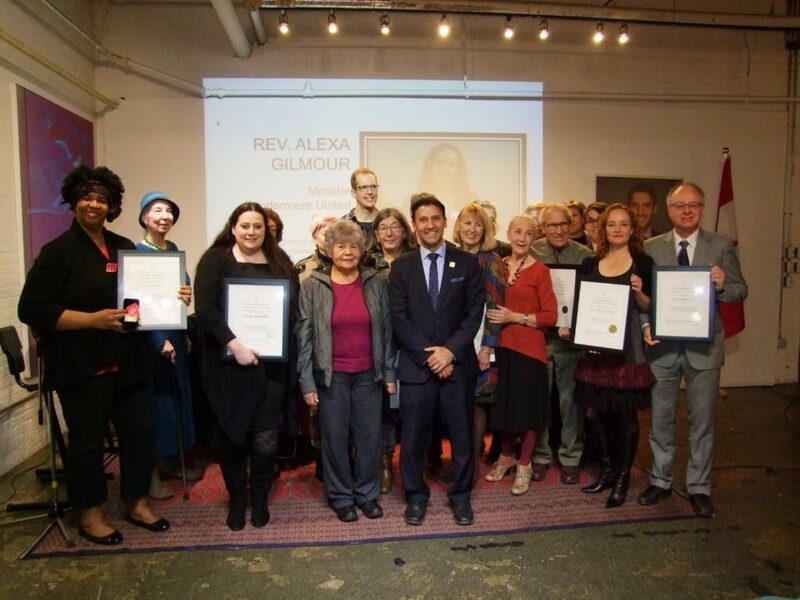 As part of the rollout of the Canada 150 celebration throughout 2017, Parkdale-High Park MP, Arif Virani, held an event at Gallery 345 on November 15th to recognize 20 community leaders for their generosity and spirit. 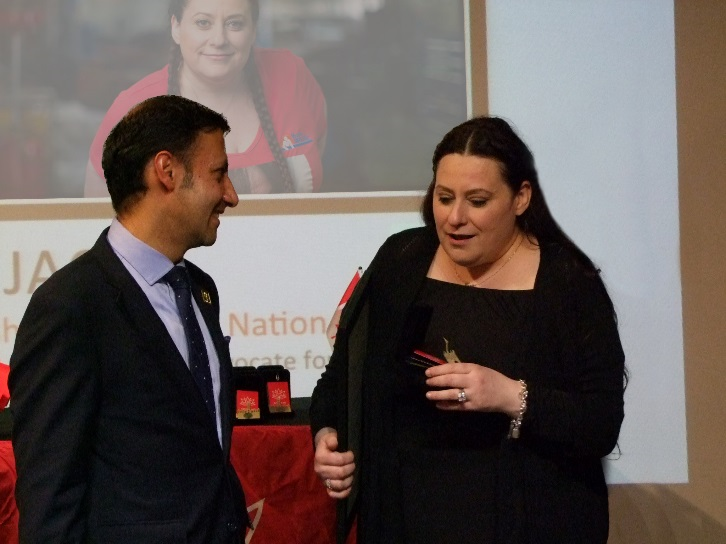 Josie is among a diverse group of leaders celebrated for making a difference in the community–and what a difference she’s made! For those of you that know Josie, this probably comes as no surprise. Her personality shines through her team of trustworthy technicians that has earned the #1 auto service centre ranking by NOW Magazine Reader’s Choice Awards three years running! No small feat. But, cars aren’t her only passion! In addition to owning a business in the community for the past 18 years, Josie does much more than run an Automotive Shop. She uses her platform as a voice for the surrounding community and lends her time to many initiatives, charities, fundraisers and programs within the High Park area. First and foremost, Josie LOVES dogs. Second, she loves dogs! That is apparent if you’ve met her rescue named Charlie who’s usually at the shop. You might know him by baby Charlie, Sir Charlie of High Park, or Chuckles as she so affectionately refers to him, but if you know their life-changing story, you know about Josie’s warm heart. She works closely with local animal rescue organizations and advocates for the progression of animal protection laws in parliament. Most recently she lent her voice to the support of Bill C246 which moved to modernize the Animal Protection Act. She used her store sign to create awareness among the community for an otherwise often overlooked issue. When she’s not using the board to advocate, it (obviously) displays positive and inspiring messages to the community! Last year, she used the board to keep those in need warm during winter. She displayed a row of scarves for anyone that didn’t have one, and before long, her neighbouring businesses joined in. Did we mention she loves dogs? Josie is the founder of Woofest—an annual celebration of dogs and dog owners. Last year alone, the event raised $12,500 for various canine charities! The festival consists of entertainment for dogs and their owners, grooming services, as well as advice from trainers and attending vets. With live music, contests, food, and hundreds of every breed of dog imaginable, Woofest is a howling success year after year. Josie also supports kid’s programs, mentors women in the Automotive Industry, supports Syrian refugees, and local school fundraisers. Whether it’s photo contests, movie night, or simply spreading holiday cheer with fun decor, Josie is involved with or leading an initiative pretty much year-round. To mark the occasion, a certificate and a bespoke Canada 150 pin was created especially for of the 20 recipients. Each pin was crafted from copper used in the roof of the House of Parliament and is a truly unique item that they’ll cherish for life. Each recipient was called up to say a few words, and it was nice to give thanks to those that give so much to the people around them. Whether you’re a customer or not, Josie is always happy to meet members of the community–and so is her pup, Charlie. Feel free to stop by the shop anytime to say hi to both of them! < Master Mechanic Wins Technician of the Year Award!